Alpha & Omega, the sixth and final installment of the spectacular Locke & Key series, brings the story of the Locke Family and Keyhouse to a compelling and devastating close. Dodge, now inhabiting young Bode Locke's body, has the Omega key and nothing can stop him from using it. As Kinsey Locke and the other students head to the Lovecraft Academy prom, the demonic Dodge gathers shadowy forces of his own and enacts his evil endgame. The shadow monsters attack. Hope diminishes. The damned and the saved alike make their final stand in the Drowning Cave. The final showdown of Locke & Key is a spellbinding one, with a devastatingly high body count and a number of personal sacrifices. Joe Hill and Gabriel Rodriguez do not pull their punches, and each one lands square in the reader's gut. The closing chapter of this volume (and thus, series) is a quiet epilogue that focuses not on the plot but rather the characters as they attempt to heal and cope with loss. This series has always been more of a character exploration, so naturally there are some final chances at redemption. The Locke family struggles to find peace with the traumas of the past, and there are legitimate efforts as closure, at recognizing that life will move on beyond the end of this book. Alpha & Omega is a beautiful final issue, with so much blood and death and horror and more pathos than you can shake a box of Kleenex at! The ability of Hill and Rodriguez to shift so effectively from the brutal havoc of the climax to the hushed grace of the ending is a testament to this wonderfully imaginative series. One cannot give this series enough praise. Hill is a genuine a master when it comes to intertwining plots and creating a multidimensional story. Moreover, embedded within this final volume are Nazi velociraptors and, even more notably, Joe Hill's winking nod to his father's classic first novel Carrie. At this point, I'm remiss to think of anything I haven't already said about the series. I know, classic cop-out line right there, but it's the god's honest truth. Joe Hill's writing is purely top-notch and Gabriel Rodriguez’s art continues to blow my mind. Unlike most other comic series, Locke & Key encompasses both great story AND great artwork. The ending is satisfying one. Joe Hill had a clear vision for this story, and it was well executed from start to finish. The overarching plot is intricate, intense, dramatic, heartbreaking, and suitably complements the comic medium. With the saga concluded, Locke & Key is a series that will be sorely missed. 5.0 out of 5 starsSuch a Delightfully Twisted Series with GORGEOUS ART! I didn't think I would love a graphic novel the way I love other books. There's something magical about the story being told with someone else's words, but my imagination. And you don't have that with a graphic novel. Which is why I was very surprised to be feeling all the same feelings at the end of this series as I do at the end of any other series I've been pulled into. Sure, I didn't have to use my imagination as much because the gorgeous art was right there. But that only added to the story. It was more graphic than my imagination could have been. And funnier, too. And some of those characters were hot! I'm so, so glad I gave this series a shot. And I'll be eternally grateful to the people who introduced me to it. 5.0 out of 5 starsI cried. I cried so much. I haven't been punched in the gut by a book like Locke and Key in a long time. This series ends on a beautiful, poignant, note, that gorgeously illustrates what an incredible storyteller Joe Hill is. Everything comes together, every arc meets a satisfactory end, and the endless sacrifices and lost characters are each beautiful notes in this title's swan song. A strong argument could be made that Locke and Key is one of the most comprehensive complete works in the comic book medium, and has certainly shaken up my top 10 in a way I've yet to sort out. I feel ridiculous for taking so long to read this series. Stop putting it off. If you got stuck halfway, pull yourself back up and finish this book. Locke and Key is true genius, lightning in a bottle that demands to be observed. Like the rest of the series this volume is awesome. 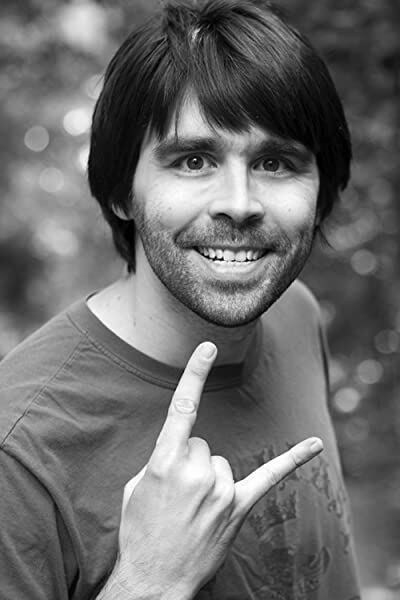 Joe Hill is a great writer, I also really like his non-graphic novels Horns (much better than the dumb movie) NOS4A2, etc. 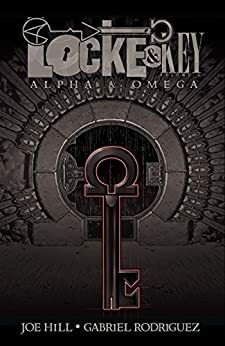 If you enjoyed the other volumes of Locke and Key then you have to (you don't really have to, nothing will happen if you don't, just FYI) buy this one as it rounds out the series perfectly. The writing is exciting and the artwork is so well done, as for the story: Hill keeps the mystery up and the characters are so complete and well written. Overall, this review is basically a poorly worded sales pitch for this book: which I didn't get for free or at a discount to write, this hopefully will change in the future (hint). The last three days, I didn't do a whole lot of work at my job, I just enjoyed this masterpiece, and I mean volumes 1-6. Wow. What a story... I couldn't say enough good things on the series. This will always be one of the main things I recommend to anyone looking for something to read. The writing and art went so well together, it just felt like one great piece of fantastic fiction, cohesive and whole. From the beginning to the end, I just couldn't put it down, and in the end, I even got emotional (a little teary eyed), which is quite rare for me when reading. If I didn't like one thing about Locke & Key, it's just that it now made everything else I've ever given 5/5 stars only a 4 or 4.5 at best. Locke & Key is in a class all by itself and from now on, this is the standard for which everything else will be measured. I'll try to avoid any spoilers in this review, so it might be a little short. After the end of volume 5, things were looking really bleak for the Locke family and the entire world. In Alpha & Omega, Joe Hill doesn't cop out and create some sort of deus ex machina so everyone comes out of this book unscathed. There are consequences for all of the characters actions, many that result in death. Throughout it though, none of it seems unfair, even when you hate what's happening, it all makes sense and lines up with everything that has come before. It culminates in an absolutely enthralling and breathtaking ending, that I found to be a perfect fit for the series. To match the excellent story, the art in this graphic novel is superb, being both dark and beautiful, it has a style all it's own. This has to be my favorite graphic novel series I've ever read, I loved it, and I would definitely recommend everyone to read it, although it can be depressing/disturbing at times.